Hi guys!I am here with a useful website, Storybird, again. Storybird is a site that allows users to create their very own personalized stories. The site is committed to sparking user imagination by providing a variety of colorful and vibrant Illustrations that ignite creativity. 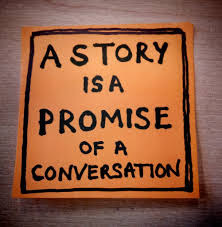 First, choose which photos you want to include in your book, then incorporate your very own dialogue -- before long words will be pouring onto the page. Although this is a great site for younger children, users must be 13 years of age to become a member. If a child is younger than 13, he/she must provide a parent’s email address, and then the parent is immediately notified that their child has become a storybird. Hi guys! 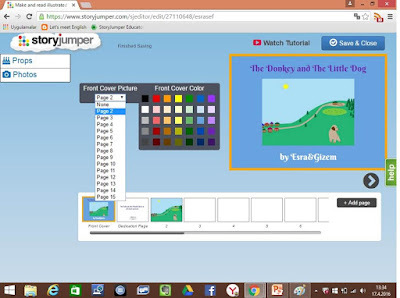 It's been a long time since my last post.Me and my friend Esra made a presentation about a website called as Storyjumper in our class. I wanna share my knowledge with you by writing this post as I think you should know this website. StoryJumper is a charming and easy-to-use tool that gives kids a template to create their own short children's books. This website is the perfect program for creating children's books! For me, Children or even adults can love working with the program because they can either use the graphics and scenery supplied or import images and/or photos from the internet or from their personal collection. The site is also useful for teachers.Teachers can create a free account that has a temporary password for students and the site supplies individualized permission slips for each student so that his/her parent/guardian can sign and return in order for the student to have home access to the site. When in class, the teacher starts a time clock so that students can work on their creations. There are several pricing options for ordering completed books. To make your own story, Firstly you register on the site by verifying your e-mail.After registering, think about your story; a good title which can take the attention of people the setting, the characters, the action.Start to write your story page by page. For each page, you pick a scene (background), add “props” (images) and write text. 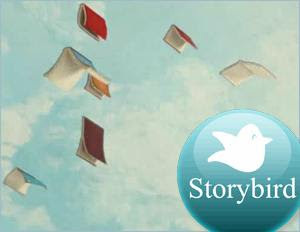 The good things for Storyjumper is that they offer a lot of pictures and icons to choose whatever suits for your story. They provide various functions so that you can change the font style and size, you can write anywhere you like on the page, upload your own photos and pictures and use them in the story. 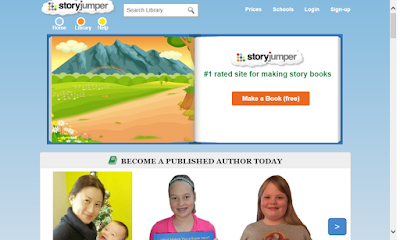 The StoryJumper repository of images and props are easy to use. You can search by category or type in a key Word. Once your book is complete, you can print own your story and share it in your blog, also send a link, or place the book out for the public to view and order. You are able to create up to 16 pages you can create a custom book or revise one of the books they have already made. However, the biggest advantages of the website is that it is FREE! It does not have such a limitation like paying money for the site. If you want, you can allow others to tweak the story. Hi guys! Via this post I'm gonna introduce you an app, Voxy. 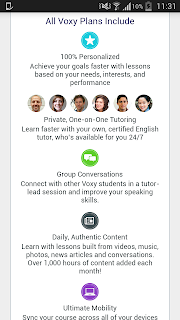 Voxy is the world’s first personalized language learning app that adapts to students’ and employees’ unique learning needs in real-time. Voxy has three million users in more than 20 countries. The app has been rated the #1 education app in 23 countries. 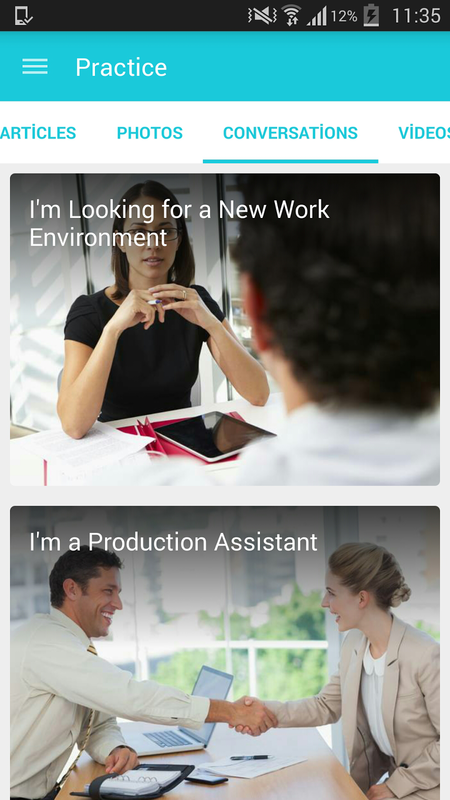 Thanks to this app, you can learn English according to your personal needs. 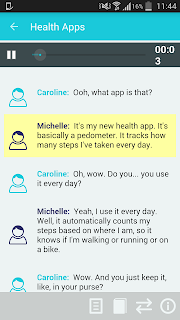 Rather than teaching phrases that are not relevant to daily life, the app teaches users the things they can use in the daily life. 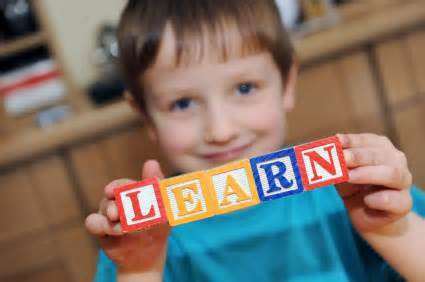 By this way, they learn only things they need, not things are useless. The app also take care of your level at the beginning so it asks you to choose your English level. 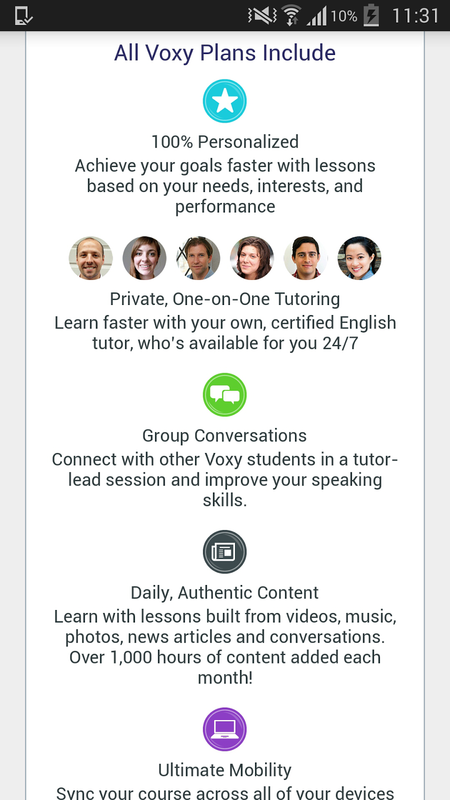 Voxy measures users' improvement, and courses will automatically adapt to updated proficiency levels.This tools helps the users have interesting conversations topics with the other people. You can feel more confident about your speaking. 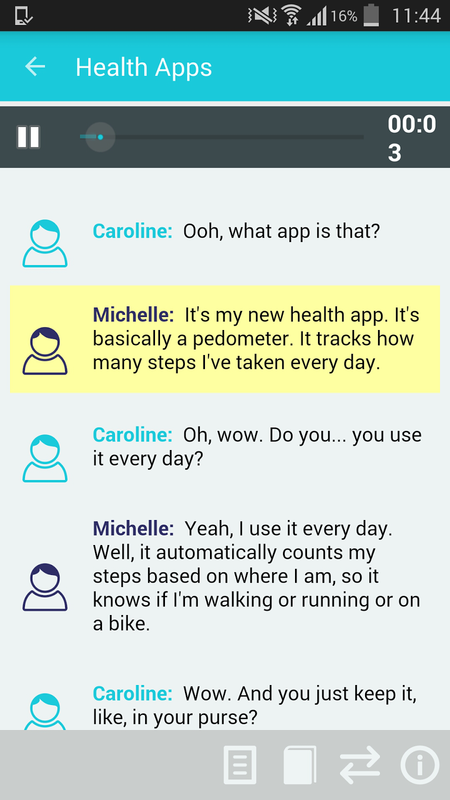 The app also helps us improve our communication skills with its conversation records. The app includes up-to-date news articles from leading publishers, English songs, videos of people accomplishing daily tasks, and audio recordings of real-life situations.You'll learn to speak English by reviewing newspaper headlines, popular music, videos and more. This tool is very effective to learn English for especially people like me cause I am a person who can be easily bored.For this reason I can not focus on something for a long time.But thanks to this app and its entertaining learning style, I can learn the language without being bored. Actually I can have fun while learning something. All I can say about the app is that you should give it a try, If you want to learn English in a funny, not boring way. Do you like stories? If the answer is ''Yes'' , you are in the right place. We all know that the stories draw not only children's attention but also adults' attention. 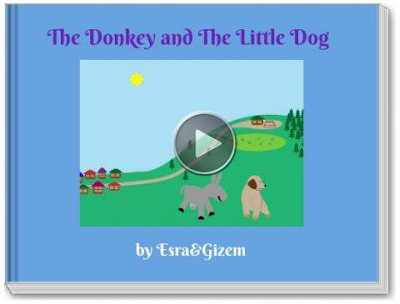 And this week's task is about digital storytelling.For this task, we create a story with my friend Esra Seferinoğlu.I'm gonna give you the details of this process.I wanna tell you that we use an online Animaker program to create this story. 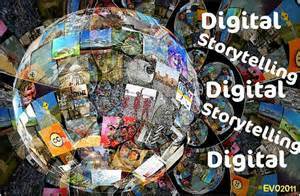 A digital story is a short story created by combining a recorded narrative with images (still or moving), and music or other sounds. The story is usually 2-3 minutes in length and told in the first person, about a person, event or issue the narrator feels strongly about. The digital storytelling process typically recognizes many elements of storytelling, including the oral tradition, the writing process, the power of visuals, and the role of digital media in recording and sharing stories. To be honest, the digital storytelling process has some difficulties. Actually, I don't think that we had so much difficulty during recording process. But while we working with PowerPoint to add our voice recording in a digital form, we had to be careful. This process was very tiring as we Also we had to pay attention to the length of the story because the story should be 2 minute or less than 2 minutes in length. 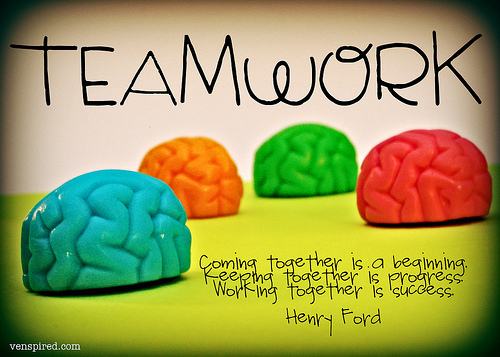 How did collaborative working contribute to our outcome? Collobration works have so many advantages to the students like us. Firstly, you are so more relaxed while working with someone than by yourself. Because you know that you don't have to carry the burden of the work by yourself. Also you can benefit from the knowledge of your fellow worker. I realize that the group works made me more self confident. Of course, this process will help your foreign language development. The digital storytelling process will be a place to practice English language speaking skills and build community. 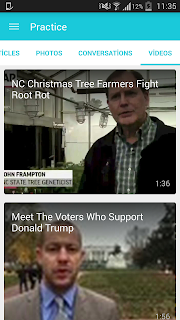 You can take a look at our story below. 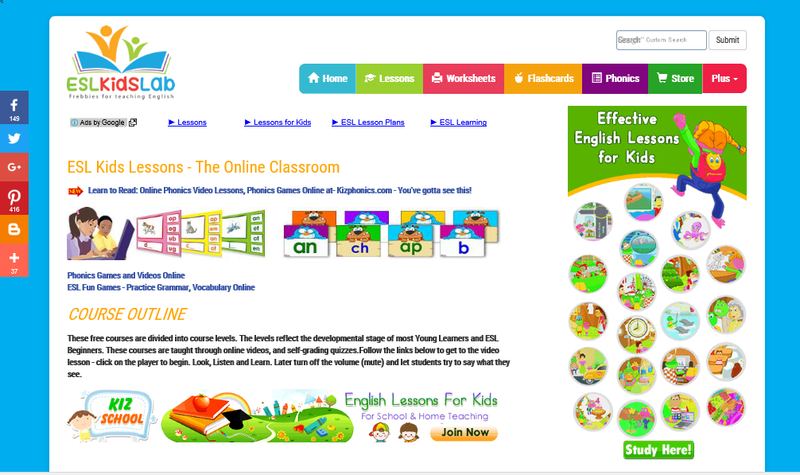 Hi guys, I'll introduce an ELT website I like visiting to you via this post so that you can have a chance to benefit from it. 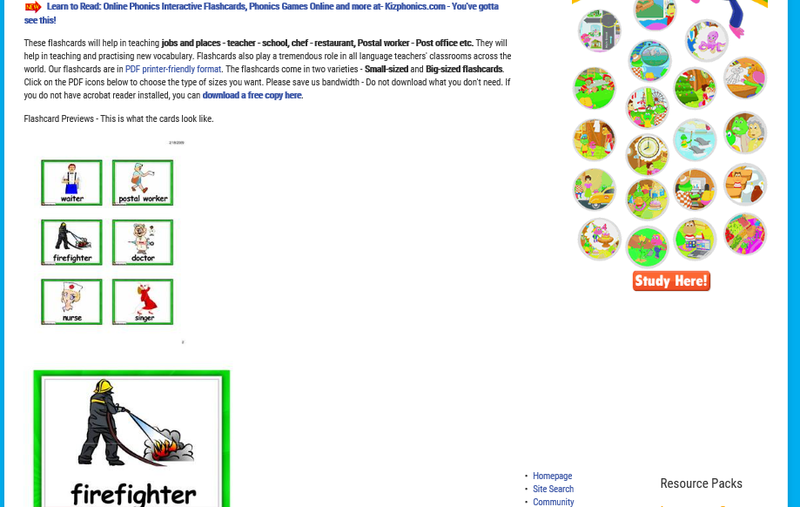 Here is this website which is one of my favorites, ESLKidslab. 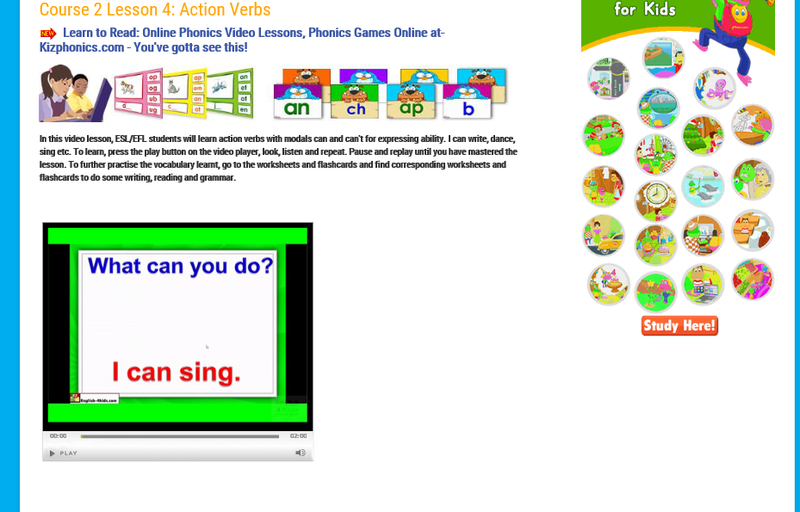 This website was made by a teacher, Kisito Futong. Kisito is a language talent who not only teaches English but picks up other languages rapidly. His language teaching and learning experiences have given Kisi a highly insightful view of language teaching and learning. During his 7 year TEFL/TESL career he has been the author of several English teaching course materials and has single-handedly learnt and created 7 highly popular ESL websites that draw tons of visitors.Actually, This site was born out of the success of english-4kids.com. 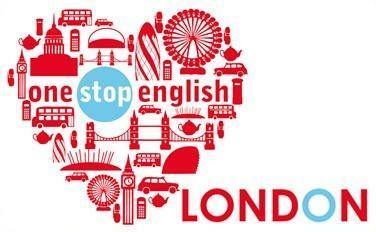 English-4kids.com has been written about in university papers, TEFL training courses and more. The website provides English (ESL, EFL, ELT, ESOL) learning and teaching materials for young learners, preschool, beginners, elementary and pre-intermediate. The materials of the website are designed to appeal to all learning styles. Thank to these different materials, teachers won't lack stuff for your kinesthetic, visual and auditory learners that are common in all ESL Kids classrooms. 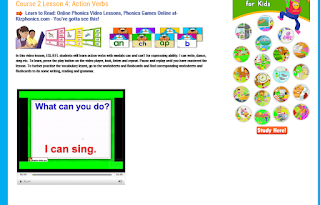 There are different learning materials like video lessons by course, printable worksheets, self-grading exercises, flashcards, phonics materials, teaching tips and a host of others. On the lessons section, you will find video lessons and self-grading quizzes put according to topics and the developmental stages of the students. The online videos make for an excellent online classroom where students can study with minimal guidance. 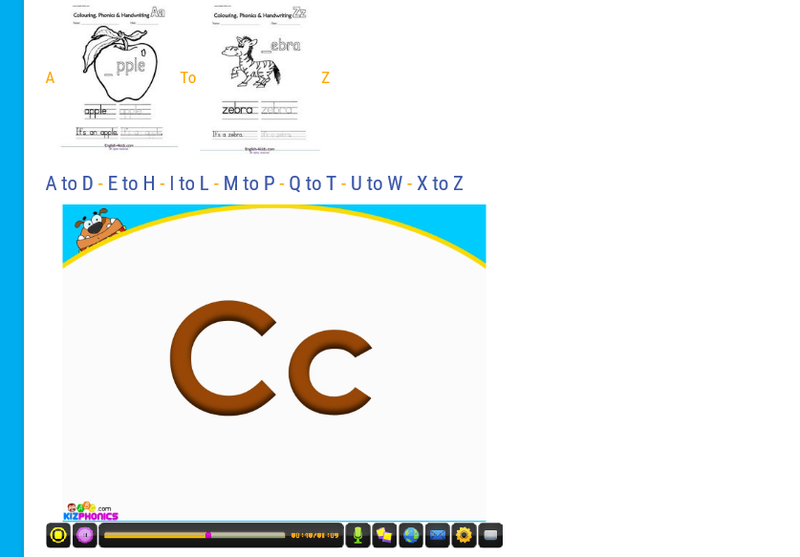 The video lesson slides are so well-designed, little or no explaining is needed. It is collection of many years of teaching in various classrooms across the globe. On the worksheets section, There are different worksheets to teach and reinforce the lessons, the author tries to provide a rich collection of the finest worksheets ever created. They include: coloring worksheets, handwriting worksheets, Grammar, Crossword Puzzles, Word Search Puzzles, Word Scrambles, Gap fills, Text Mazes for reading, Drawing, and so much more. On the flashcards section, This area is loaded with well-categorized flashcards according to the courses above. They are in PDF and JPG formats. It will be easy for you to use these cards according to different topics. The cards cover familiar topics like: Food, Animals, Time, Weather, Clothes, Vegetables, Fruits, Shapes, Action Verbs, Transportation, School and classroom objects. Do not be afraid to take a look. They will save you enormous amounts of time. We have gone an extra mile to give you a list of flashcard game ideas. 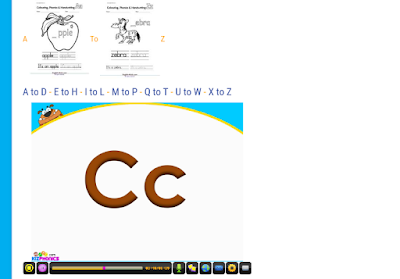 On the phonics section, the website provides phonics workcards, flashcards and worksheets from A to Z with videos to make things even better. With such good quality materials you just can't go wrong.The website also provides a few teaching tips, games and suggestions for using them. 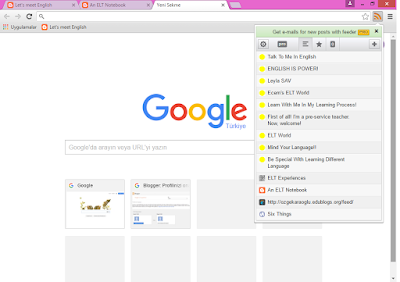 I think the website is full of different learning materials for students who learn a language in different styles. For this reason, teachers can benefit from this website for their students not to lack materials which are necessary for learning. Thanks to these different materials, if the students can not learn the subjects in one way, they can understand or learn in another way. Have you heard of RSS before? I seem to hear you saying ''Noooo!''. I did not hear until the last week. Now I'm here to introduce this technology to you. Firstly, RSS implies Really Simple Syndication or Rich Site Summary. RSS is such a useful technology that it enables us to keep track of our favourite website. 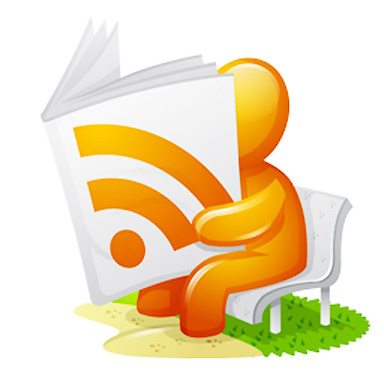 There are a lot of versions of RSS and I use FreeReader which is an online reader service. Rather than check continually the websites you are interested in, you are alerted by RSS when your favourite websites add a new post. 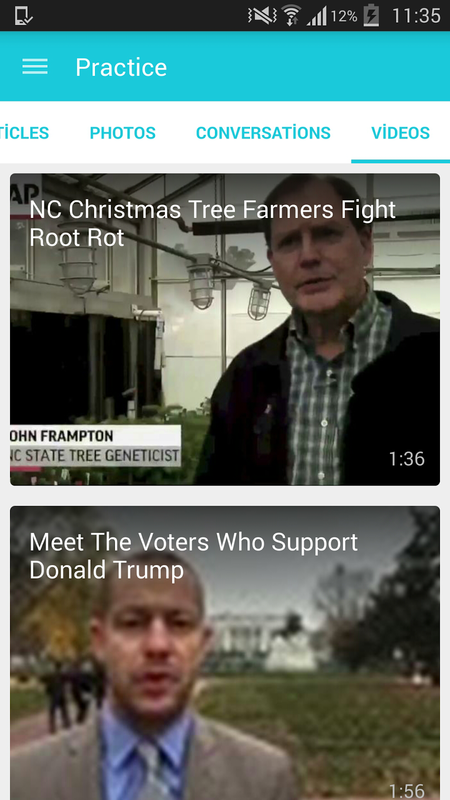 By using this service, you can have the very latest information on these topics delivered directly to you. With these countless advantages, it is already used by millions of users all around the world. 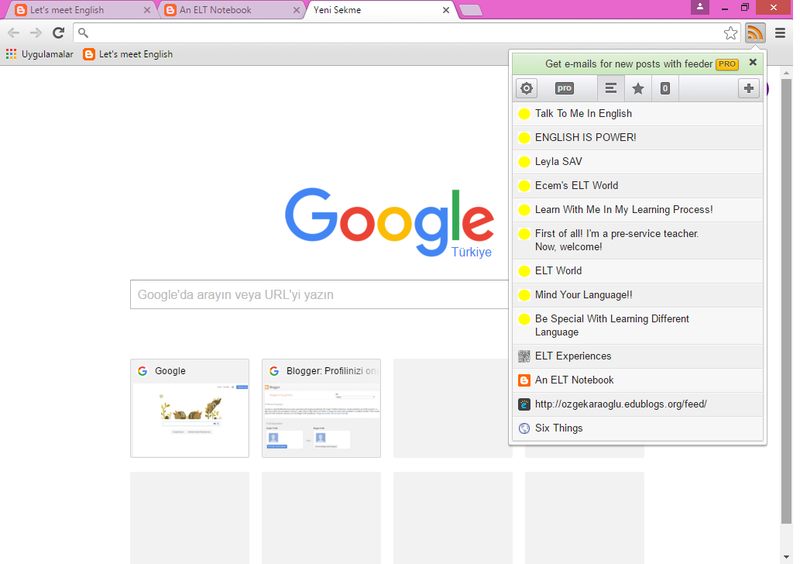 An ELT Notebook is one of my favorite blogs and also a blog every inexperienced teacher should follow. Of course, not just for inexperienced ones, even experienced ones can. There are many things you can benefit from as a teacher. The blog gives English teachers many different ideas about teaching English, how a teacher should teach the students the language or what kinds of activities English teachers can use in their English class for their students. As I said, it recommends teachers a lot of different activities they can use in their class such as picture games, drilling games, speaking. What's more, the blog does not speak to a specific student level. For me, the blog is full of information and it's obvious that there are many experiences the blogger has had until now. The blogger does not share only her own experiences or ideas in the blog, she also gets opinions of other teachers from different countries. People like me, who will be a teacher in the future, should not underestimate the blogger's experiences and should pay attention to her advices. Oops, First Let Me Watch a Movie! Here I am again with a new post. As you know, a new post means a new project. 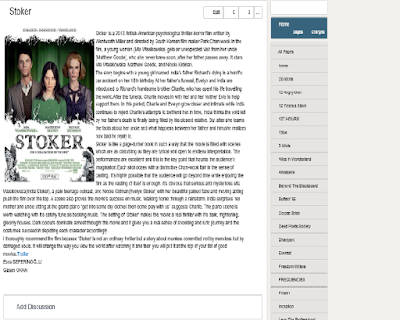 For this project we made a review with my friend Esra Seferinoğlu about a film named Stoker on Wiki. Wiki gives us opportunity to work collaboratively with other people. 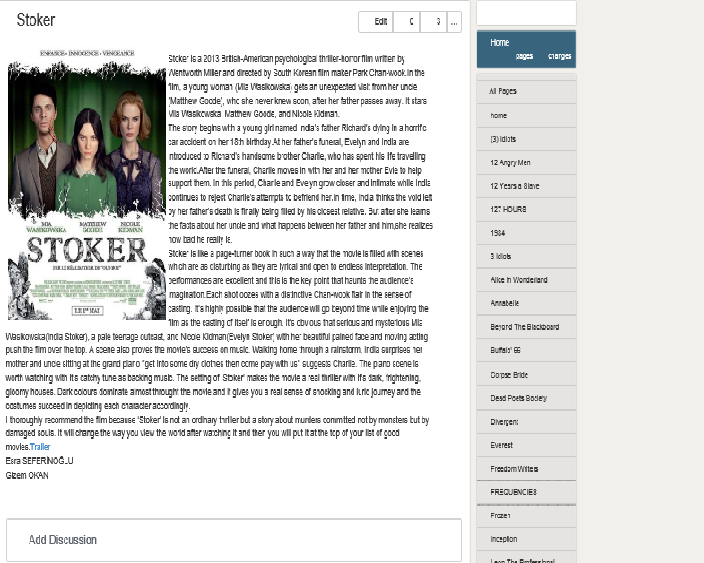 Thanks to this useful website, Esra and me worked together for our review to give you some information about this film. All we did is like briefing the film without mentioning what happens in the end of it. Actually, we did not have any difficulties. On the contrary, it was entertaining cause watching movies is such a good thing that you can both have fun and generally learn interesting something while doing. I think activities like this work on teaching students to collabrate with each other and use technology. Through Wiki, students will be better with technology and more eager to share their knowledge with others. Also, it enables the students to make choices actively about how to generate, obtain, manipulate, or display information. I mean that teachers can make students use Wiki in classroom. 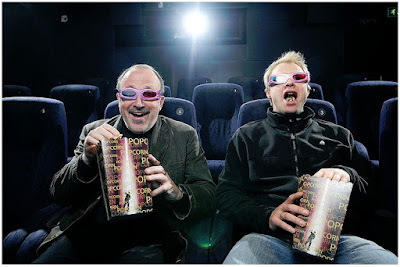 Reading film reviews is the thing that all people do. Cause there are times when we're bored and think there's nothing to do. You wanna watch any movie but have no idea which film you'll watch and in that time reviews work a treat on finding what you're looking for. I hope our review can help you,too. You can give a look at the review by clicking here. Hi guys! My name is Gizem Okan. I am a student at Marmara University. Actually, the reason why I started to keep this blog is the course I am taking,Technology & Materials Design. Via this blog,I wanna share my thoughts about learning a different language and the experiences I've had during my English journey. I promise that I'll do my best for this.